Our latest Q&A is with Andrew Loukes, curator of collections and exhibitions at Petworth House, about their upcoming Blake exhibition (13 January–25 March 2018). The conversation has been edited slightly. What was the genesis of the exhibition, and how long has it been in the planning? Has Petworth hosted a Blake exhibition before? Petworth has been holding temporary exhibitions each winter since 2013. The initial idea was to mount a series of three shows over consecutive winters, each celebrating one of the great Romantic British artists—Turner, Constable, and Blake—with connections to Petworth and the broader county of Sussex. The Turner and Constable exhibitions happened in 2013 and 2014, but Blake was postponed due to other opportunities and the extra work needed for this project. We are delighted, therefore, to be mounting the Blake show in 2018—the first Blake exhibition at Petworth and the first devoted to his relationship with Sussex. 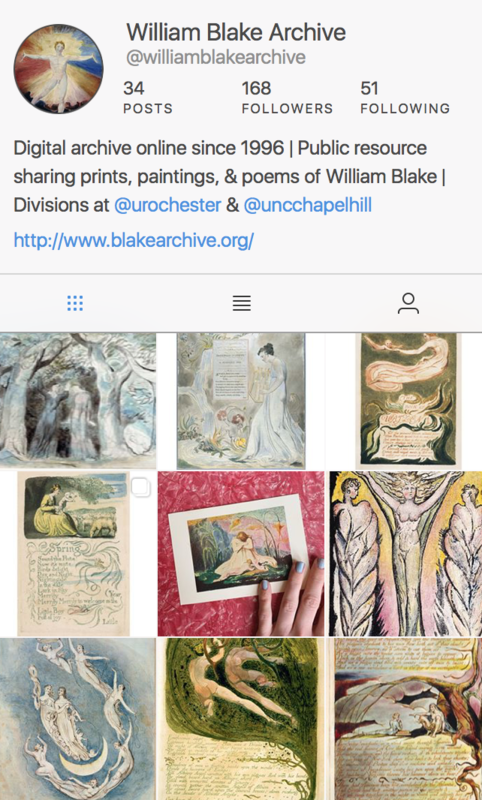 Can you discuss the focus, William Blake and Sussex, and how that has informed the works that you’ll be showing from both the Petworth collection and from other institutions? The exhibition looks at the work Blake made while living at Felpham between 1800 and 1803, largely under the patronage of William Hayley but also in response to requests from other patrons. It also gives a broader context to the three paintings—and Blake-related books, prints and archives—at Petworth, and investigates the lasting influence of his Sussex experiences on other works. In order to achieve this we are borrowing extensively from major lenders, including the British Museum, V&A, Tate, and National Portrait Gallery, as well as redisplaying the Petworth material. Petworth famously holds Blake’s The Vision of the Last Judgment. Is it usually on display? The Last Judgment is usually on display in the north gallery of Petworth House during our main season. For the exhibition it will be temporarily relocated to our exhibition gallery and hung alongside related works and documents on loan to us, including the Petworth version of the artist’s manuscript descriptive notes on the picture. I believe part of the exhibition is devoted to Elizabeth Ilive, the Countess of Egremont, for whom Blake painted The Vision of the Last Judgment. What more can you tell us about her in relation to Petworth and as a collector? Of the three Blake paintings at Petworth [the others are Satan Calling Up His Legions and The Characters in Spenser’s Faerie Queene], two were commissioned by Elizabeth Ilive, the estranged Countess of Egremont, and were initially displayed in her London houses following her separation from the 3rd Earl of Egremont in 1803. As well as being a collector and a painter, Elizabeth had an informed interest in science and technology, and was a devoted mother to six—illegitimate—children, the eldest of whom would inherit Petworth and its collections on the death of the earl in 1837. 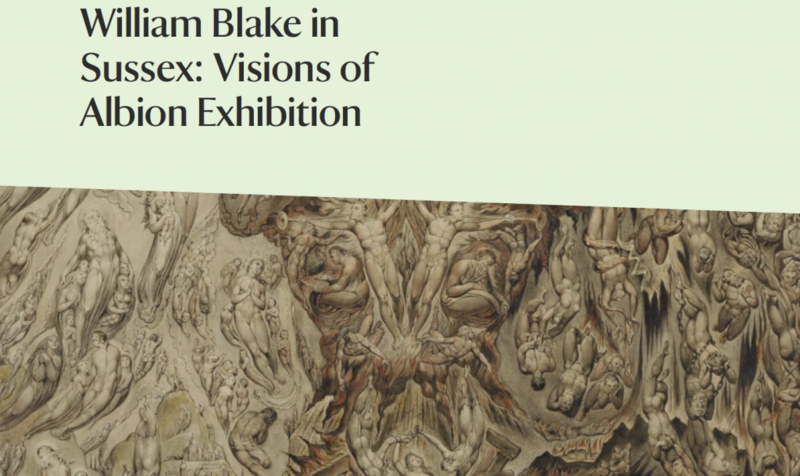 Alongside William Blake in Sussex is a display in the north gallery that showcases the compelling story and achievements of this remarkable woman. Will Blake’s circle in Sussex, such as Hayley and Henrietta Poole and John Marsh, be represented? As well as being Blake’s principal Sussex patron, Hayley was also a close friend of the Egremont family. The exhibition will feature examples of all Hayley’s books featuring engravings by Blake, alongside other commissions he gave to Blake and Henry Howard’s portrait of Hayley from this period. What other events are planned in conjunction with the exhibition? Along with the exhibition and the display about Elizabeth Ilive will be a selection of drawings by Philip Pullman, made to illustrate his bestselling His Dark Materials trilogy of books. 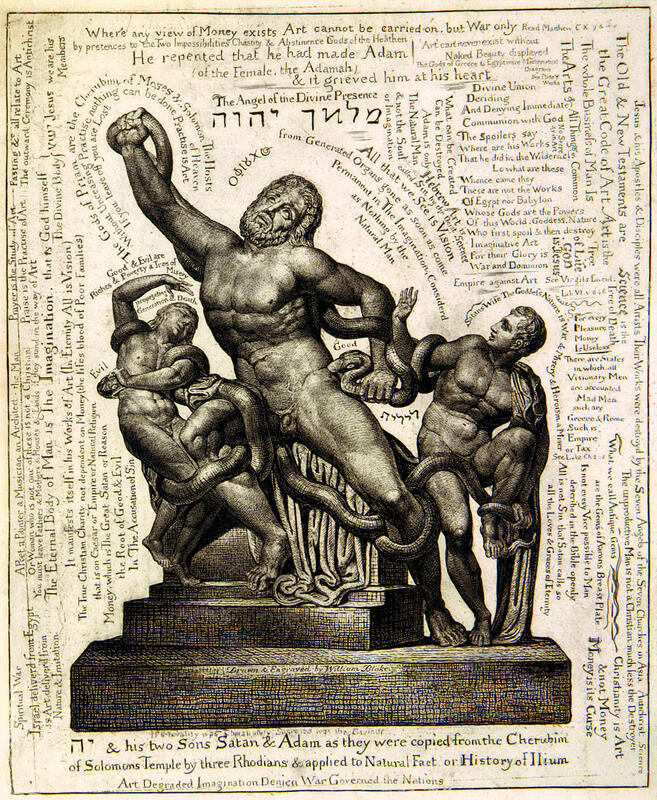 As president of the Blake Society, the author has a longstanding interest in Blake and there are strong parallels between the two writers, not least in that both have illustrated their own books and have been much influenced by John Milton—a particularly significant source of inspiration to Blake during his Sussex years. Also during the course of the exhibition it is hoped that some further opportunities for access to Blake’s cottage in Felpham will be made available by appointment through the trustees of the cottage. Many thanks to Andrew for taking the time to talk to us. Please note that this is a ticketed exhibition. You can find more details here.